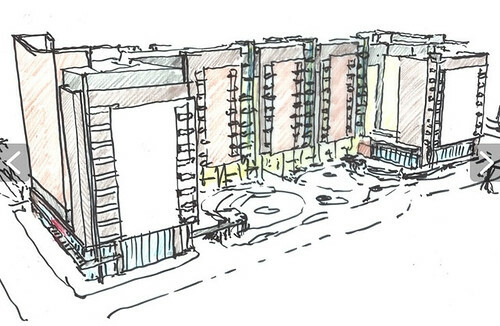 Sketch of Studio Plaza's first phase from WDG. Containing apartments, shops, offices and a public park, the proposed Studio Plaza development could be the next big thing in downtown Silver Spring's revival. 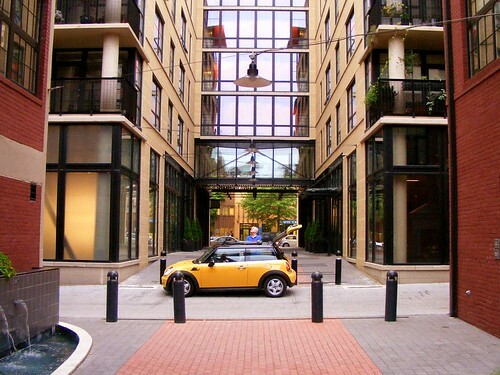 Literally: it's one block-long building with minimal details that turns a pedestrian street into a tight underpass. 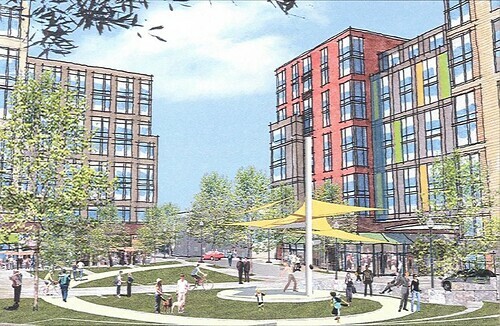 Joint developers Robert Hillerson and Fairfield Investment Company have made an ambitious proposal for a five-acre site taking up most of a city block between Georgia, Thayer and Silver Spring avenues and Fenton Street. A preliminary plan approved by the Montgomery County Planning Board in 2009 shows over 600,000 square of apartments, shops, offices, and a potential hotel. Studio Plaza has been well-received by neighboring residents and business owners, partly due to the developers' commitment to providing several public amenities. 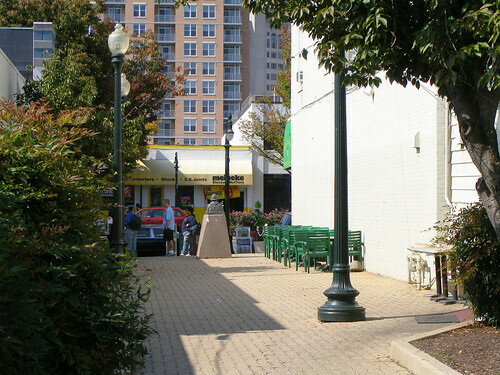 Their plan includes a substantial park, a garage to replace an existing public parking lot, a new street and an extension of Mayor's Promenade, a short walkway off of Georgia Avenue home to the bust of former "Mayor" Norman Lane. They've offered to set aside 15% of all apartments as Moderately Priced Dwelling Units for low-income families, while half of the apartments would be set aside as Workforce Housing for middle-income families. The project will also seek LEED certification, a measure of efficient energy and material use. Mayor's Promenade today. Photo by the author. 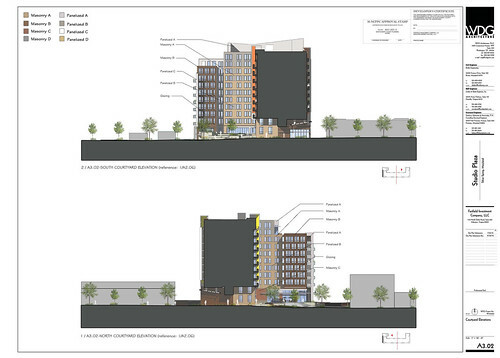 These sections show Mayor's Promenade passing beneath the proposed building. 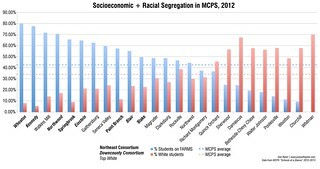 Image from the Planning Department. 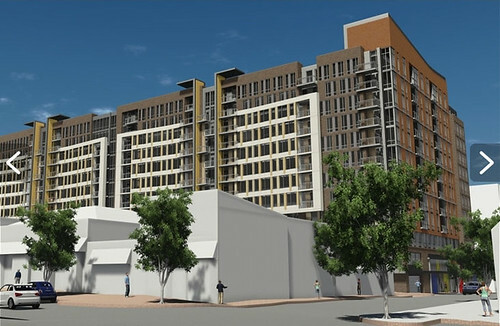 Recently, Hillerson and Fairfield submitted more detailed plans to the Planning Board of the project's first phase, containing a 12-story building with 410 apartments and 10,000 square feet of retail, a parking garage, and the park. (They can be seen in this slideshow.) They've also swapped out their original architect, SK&I of Bethesda, for D.C-based WDG Architects, who's designed other apartment buildings in downtown Silver Spring, like the Veridian and the Cameron. According to their website, the building was designed "with the animated and eclectic spirit of the Fenton Village area in mind." Whether they've actually accomplished that is questionable. While the original design placed a building on either side of Mayor's Promenade, the current design has one big building with the promenade going through it. Instead of a pedestrian street celebrating the neighborhood's "quirky and unique character," there will be an underpass, part of which will be just one story high. Complaints that new development in Silver Spring is "out of scale" are common, whether it's for townhouses or a much smaller apartment building. But a rendering of the building behind the two-story shopfronts on Georgia Avenue, shows that it really is oversized. Its height isn't the problem, as there are plenty of taller buildings nearby. It's that this building is 400 feet long. Top: the 2009 proposal shows buildings with different materials and greater setbacks. Image from the Planning Department. The current proposal shows one large building with repetitive details and fewer setbacks. Image from WDG. Stretching the building out across the entire block defeats the purpose of breaking it up in the first place. The exterior is also very repetitive, with a few simple elements used over and over again. As I've written before, good urban streets give pedestrians something new to look at every 5 seconds, or every 25 feet. That's why a block of identical 18-foot-wide rowhouses can still look and feel great, but on a building this size, excessive repetition just emphasizes how massive it is. However, the public park, designed by Alexandria-based landscape architects ParkerRodriguez, is more promising. Approximately 16,000 square feet in size, it's bigger than most developer-provided public spaces in downtown Silver Spring. The same paving materials used in the park will be extended into the new street, making it feel even larger. A raised terrace will run along the edges of the park, where several ground-floor apartments will have entrances and private patios, similar to those at the Silverton condominiums on East-West Highway. This will help make a very large building feel much more personal: instead of walking past anonymous windows, you'll pass front doors. That will make the park feel more like a neighborhood gathering place, as opposed to a space like Veterans Plaza, which is more of a regional destination. That said, the bulbous shape and location of the green areas in the new site plan seem arbitrary, and it's unclear what they're meant to be used for. 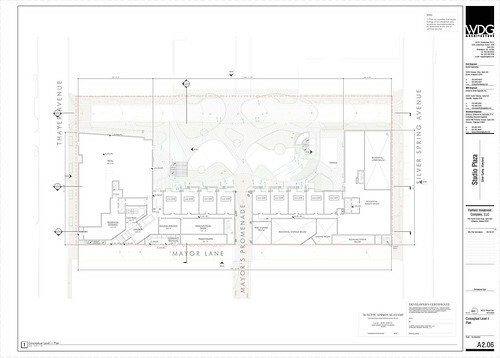 Site plan of the proposed building and public park from the Planning Department. 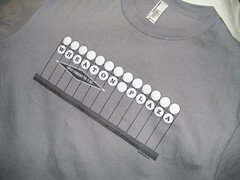 How could Studio Plaza be better? For starters, the building could be broken up into two, which would bring it closer in scale with other high-rises in Silver Spring while providing more visual interest. Each half could be done in different materials or even a different style, giving them their own distinct character. And while the building already steps down one story closer to low-rise Fenton Street, there may be more opportunities for other setbacks to make it look less bulky. If a connection between the two buildings is deemed necessary, it shouldn't be as deep as the rest of the building, and it should be higher off the ground, so Mayor's Promenade can still get light and air. The Flats at Union Row shows how to bridge over a pedestrian street without being imposing. Meanwhile, the park should have as big a lawn as possible. We've seen from the past success of "the Turf" and the current push for a park in South Silver Spring that downtown residents want green space, and this one is big enough to accommodate it. This is a great opportunity to provide a large grassy area, as proposed in the 2009 plan, that could be used for everything from picnics to recreation to even live performances. Studio Plaza has the potential to make a big impact on downtown Silver Spring, but only if its designers and developers focus on the small stuff. By opening up Mayor's Promenade, making the park more usable, and putting more detail into the building's exterior, they can truly make this project a reflection of its neighborhood.